For dependable installations in critical service, Mead O’Brien uses Edward valves for many of its power plant valve solutions, both manual and automated with Limitorque motor operators. 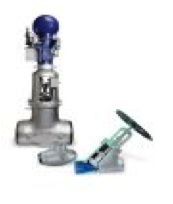 Flowserve manufactures Edward valves to reliably meet customer expectations in critical service conditions. Edward forged and cast steel valves have become the preferred choice for power plants, process facilities, and other critical services. Mead O’Brien maintains an inventory of Flow Line butterfly valves and has the versatility and ability to automate the valves quickly to meet customer needs. Have question about Mead O'Brien products or services? Fill out the short form below and a Mead O'Brien Customer Service Rep will contact you immediately! Or call us NOW at 800-874-9655! © Copyright Mead O’Brien. All rights reserved.